Scent: Fresh, floral, sweet, somewhat similar to geranium oil. Benefits, Indications: May be beneficial for rashes, candida, the cardiovascular system, digestive and nervous systems, fighting infections. It is valuable for all types of skin problems because it stimulates new cell growth, regulates oil production, moisturizes and speeds healing. Palmarosa oil calms the mind, yet has an uplifting effect, while clearing muddled thinking. It is used to counter physical and nervous exhaustion, stress-related problems and nervousness. It is most useful during convalescence and cools the body of fever, while aiding the digestive system, helping to clear intestinal infection, digestive atonia and anorexia. It is effective in relieving sore, stiff muscles. Palmarosa oil moisturizes the skin, while balancing the hydration levels and stimulating cell regeneration. It balances production of sebum, to keep the skin supple and elastic and is valuable for use with acne, dermatitis, preventing scarring, rejuvenating and regenerating the skin, as well as fighting minor skin infections; sore, tired feet and athlete's foot. 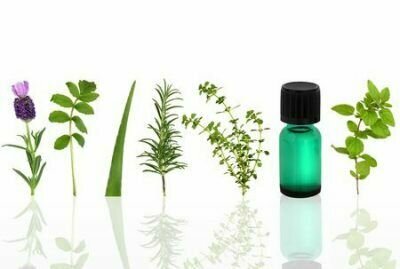 Precautions: Palmarosa oil has no known contraindications and is considered a nontoxic, non-irritant and non-sensitizing essential oil.